Belton Deputy Chief Larry Berg was one of 222 law enforcement officers to graduate from the 270th FBI National Academy Program on Dec. 15. in Quantico, Virginia. 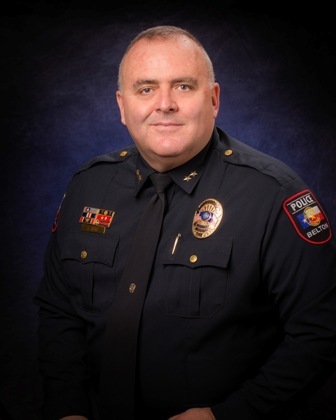 "We are very proud that Deputy Chief Berg was selected for and completed this elite and rigorous management program," Belton Police Chief Gene Ellis said. "He learned innovation and skills that will be applied in behalf of the residents of Belton." FBI Director Christopher Asher Wray, U.S. Attorney General Jeff Sessions and President Donald Trump spoke at the graduation ceremony. Internationally known for its academic rigor, the National Academy consists of 11 weeks of advanced communication, leadership and fitness training for officers with proven records of professionalism within their agencies. On average, officers who participate in the National Academy have 21 years of law enforcement experience and typically return to their agencies to serve in executive-level positions. The 270th Session included men and women from 49 states and the District of Columbia, 20 countries, three military organizations and four federal civilian organizations. National Academy students earn undergraduate and graduate credits from the University of Virginia, as many of the offered courses are accredited. The FBI National Academy began in 1935. Belton Police Chief Gene Ellis, a graduate of the 217th Session in 2004, is among the 50,587 alumni of the program.